I have been talking about investing overseas for quite a while now and I moved to Brazil not only to see the amazing beaches, but to also see the possibility of creating a day trading center here. The idea was to provide people in the third world the opportunity to make a living in the markets and also to start diversifying my portfolio. There is a reason that people are looking to emerging economies for profits. Being that I day trade for a living I have to look out for my livelihood. There are rumors buzzing that there are going to be regulations set in place to restrict market speculators. In other words, the government is going to limit when and how I can make money in the markets. The idea is to have the ability to trade other markets that will be far from the reach of the government. There are already day traders in India and even Brazil that are actively investing and trading in the markets. I anticipate India to be a much larger and friendlier market than China after they get their act together which is one of the reasons that I want to be there on the ground floor. Ever since I started this website I have learned a lot about doing business online and also in the travel space. There is tons of travel information online for English speakers but is that same information available in other languages? Most people that have been able to travel in the past from third world countries have been able to speak English. Now that the middle classes are rising around the world that same information may not reach the depth of those markets. According to Nationalencyclopedin, Portuguese is the 6th largest native spoken in the world and includes the following countries; Angola, Brazil, Cape Verde, East Timor, Guinea-Bissau, Macao, Mozambique, Portugal, São Tomé and Príncipe. With the populations of Africa & Brazil exploding that number will only rise. I don’t include Hindi in this assessment because most Indians speak English and in the future I suspect more will learn how to speak English. While I visited Easter Island last week I was fortunate enough to run into a group of Brazilians and began asking them questions about the travel information available online in Portuguese. Turns out there was hardly any information for many destinations around the world. United States & Europe are obviously available in most languages but what about obscure destinations like Southeast Asia and Africa? Turns out there is hardly any information available for those countries. 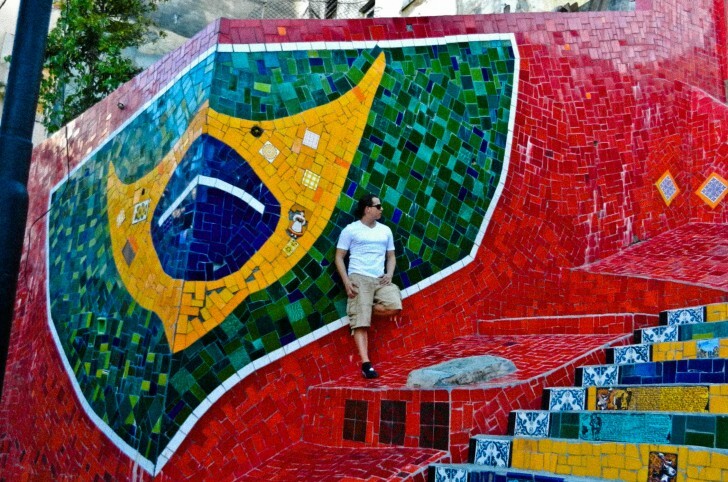 I plan on having a general travel site that provides travel guides for every country that I visit and an additional site about living in Rio De Janeiro. I have met a countless number of Brazilians that come from other states to look for more opportunity in Rio and since Brazil is only beginning to grow, more and more Brazilians will be looking for information on living in Rio. I won’t be doing all of this work on my own, I have a partner in this endeavor that will be managing & writing for the sites while I provide back end support. It should be a fun project and I’m extremely excited to be investing in Brazil, at least virtually for now. Since I travel so much the idea is to have something that I can manage online and continue my nomadic lifestyle. I was seriously looking for real estate in Medellin & also flirted with the idea of buying a condo here in Rio. Considering that there is a financial crisis coming I think I will hold off on the real estate to see if prices come down a bit. I will be leaving for Belgium in three days and will eventually be moving to India at the end of the year so it should be a fun project. …and if you need another contributor that can trade, travel and assist you grow this project… EU ACEITO! ; ) Principalmente todo os locales que se fala portuges (Tenho pais Mocambicanos). Wandering trader…so will the new regulations on the markets affect all market speculators, including the commodities market and currency(forex) ?? That would be huge disappointment as I have put in countless hours learning to trade the currency market!! Keep up the great work on the blog. Cheers! Hi Marcello. I really enjoy the website and the videos are pretty cool. I think its awesome that you get to make money and travel the world. Dont forget to drink some caipirinhas and try mocoto, its good stuff. Good luck mate! I have been doing some investments in Cambodia, but right now I feel like leaving this place, too many tourists. Be careful!